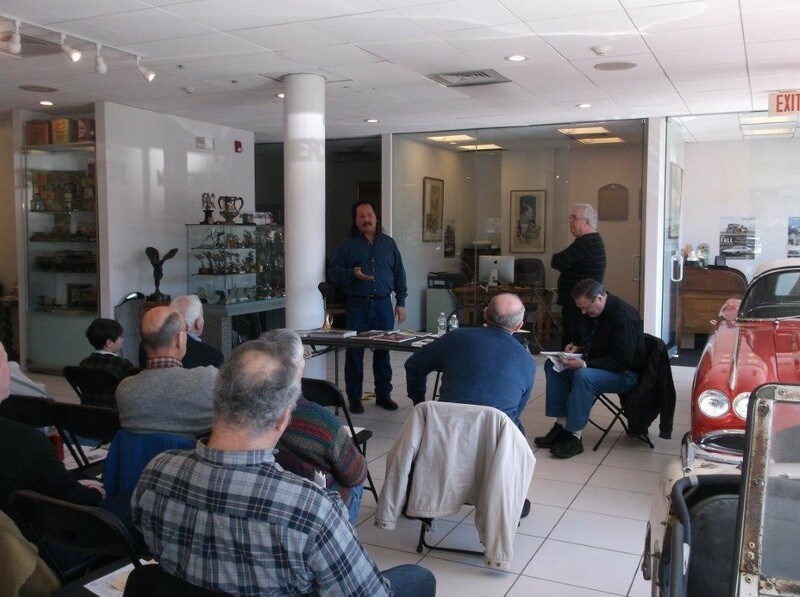 Westport, Conn. – On the heels of another well-attended Speakers event in February, the New England Auto Museum will follow up with a presentation by Klingberg Festival Director Mark Johnson on Saturday, April 2 at Dragone Classic Gallery & Showroom in Westport. The third and last of the winter series scheduled to begin at 11 AM will highlight Connecticut’s storied past as the cradle of the U.S. automotive industry. Companies like Corbin from New Britain; Pope-Hartford, Columbia and Kelsey-Motorette from Hartford; Frisbee and Compound from Middletown; Cameron from New London, Stamford and Trumbull — and, of course, Locomobile from Bridgeport — all helped to establish American dominance in the early days of the automobile. At the turn of the 20th Century, Connecticut and the surrounding region was home to the innovators and pioneers such as the Duryea brothers, Andrew Riker, Col. Albert Pope and Hiram Maxim who collectively invented virtually every element of what is today’s modern car. 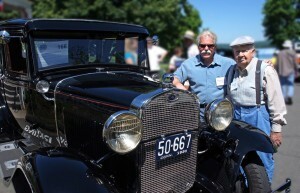 In New Britain, Connecticut on the Saturday of Father’s Day weekend June 18th, 2016, more than 350 of the finest automobiles made between 1900 and the present will descend upon the city for the 24rd Klingberg Vintage Motorcar Festival at Klingberg Family Centers on Linwood Street. Thousands of people are expected to attend, and cars will come from eight states. 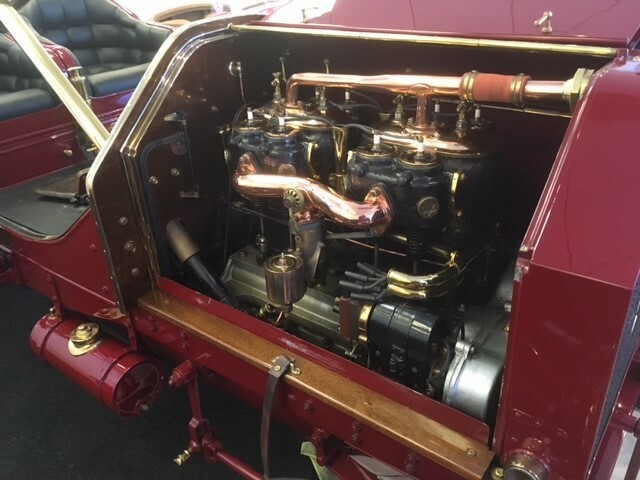 Last year’s show featured more than 50 vehicles manufactured between 1900 and 1915 featured in the pre-war section, including steam and electric cars. 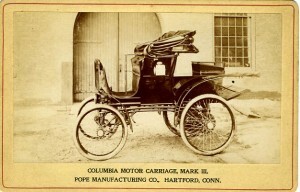 Nine were manufactured in Connecticut, including a 1914 Trumbull Coupe, made by the Trumbull Motor Car Co. of Bridgeport; a 1905 Columbia Brougham, an electric car made by Pope Manufacturing in Hartford; a 1900 Locomobile Steamer as well as the oldest-known surviving model of the “Hartford” also made by Pope until 1915. 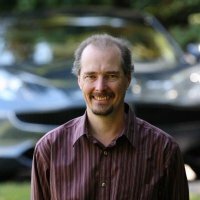 At his presentation on April 2nd, Mark Johnson, Klingberg Festival’s Director will discuss plans for this year’s show scheduled for June 18th which will feature TV personality Wayne Carini of Velocity’s “Chasing Classic Cars” as Grand Marshall along with Wayne’s daughter Lindsay Cushing. Wayne and his family share this honor in recognition of Father’s Day and the importance of families and this year will pay tribute to Bob Carini, Wayne’s father, who also served as Grand Marshal for several years and sadly passed away in January 2016 and will be greatly missed. Wayne’s passion for cars started when he was a child working alongside his dad on such classics as Duesenbergs, Lincolns, Packards and Ford Model A’s. Then, at just 9 years of age, he experienced a life altering event: he went for a ride in his first Ferrari. This set him on a career journey dealing with all types of vintage automobile collectors throughout the world. In addition to his popular TV show, Wayne Carini is involved in and regularly attends many different car clubs and events to get young people involved in the car collector hobby. He believes that without young people’s involvement, the car collector tradition will disappear. 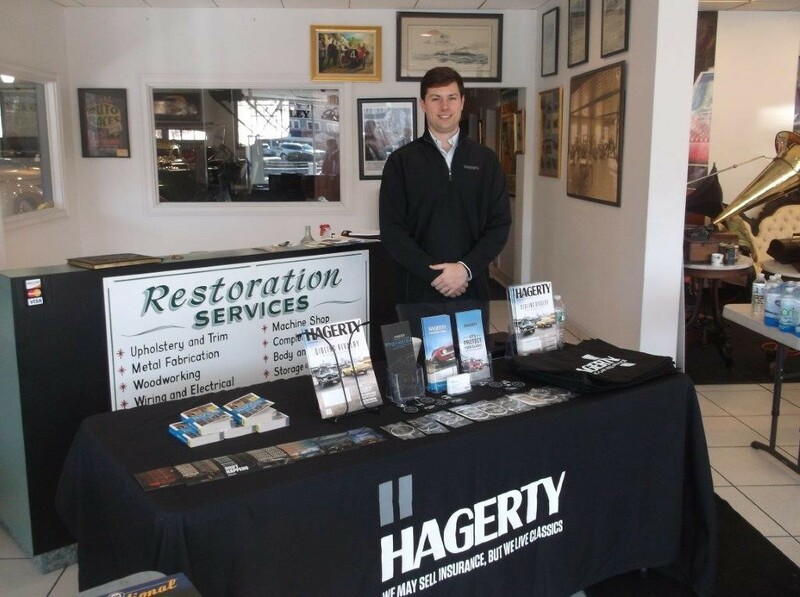 Wayne supports the Automobile Restoration Program at Klingberg’s Raymond Hill School. 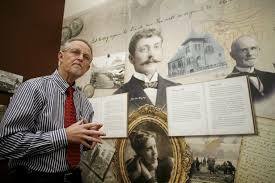 Tickets for the Speakers event featuring Mark Johnson will be $15 per person and can be purchased at the door or in advance at the museum’s web site www.neautomuseum.org. Refreshments and a light luncheon will be provided as part of the program. The Dragone Showroom is located at 176 Post Road West in Westport, Conn. Weather permitting, owners of classic and special interest automobiles are welcome to display their cars in Dragone’s spacious parking area. Exemplar I on display at Dragone Classics Showroom in Westport, Conn.
Amelia Island, Fla. – Like many concept cars, the Exemplar I nearly didn’t survive to the present day. After two full years on the show circuit, only a last-minute stay of execution kept it from getting crushed. Yet, instead of returning to the public eye, it has remained largely out of sight for the last 45 years, a condition that will change this spring when the newly restored Buick-based one-off appears at Amelia Island Concours on March 13th. 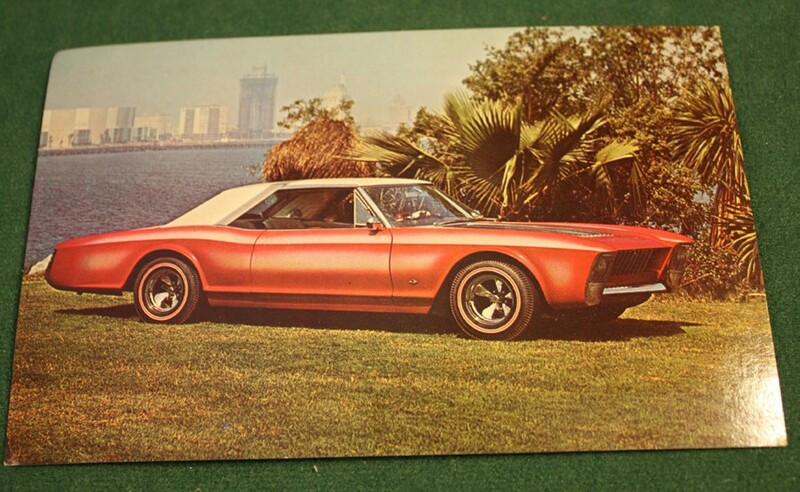 Unlike most concept cars, however, the Exemplar I didn’t emerge from a major automaker’s styling studio. Rather, its genesis lies with the Bridgeport Brass Company in Bridgeport, Connecticut, and the Copper Development Association, the industry group behind the 1964 Mercer-Cobra. That car built on a stretched Shelby Cobra chassis and bodied by Sibona-Basano after a design by Virgil Exner and his son, Virgil Exner Jr., came about as an attempt by the CDA to convince Detroit to expand its use of copper beyond simple wiring – the exact same reason for the Exemplar I. “The purpose is to present engineering innovations for greater safety, comfort and performance, and to demonstrate new decorative applications of copper and bronze,” the CDA wrote in its brochure for the Exemplar I. 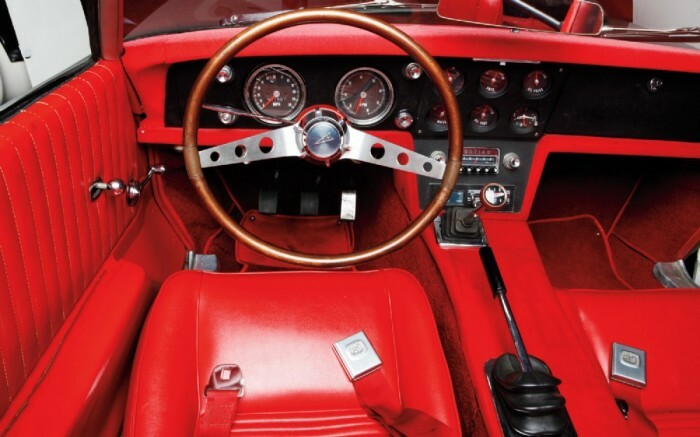 As with the Mercer-Cobra, the Exemplar I used copper in its disc brakes, its radiators, and pretty much wherever other cars used chrome – as engine decoration, as exterior trim, and extensively throughout the interior. Without any experience in automotive design and manufacturing, however, CDA officials had to outsource the car’s construction. 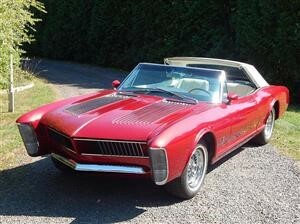 They started by acquiring a 1967 Buick Riviera fitted with a 360-hp, 430-cu.in. V-8 then turned to Carrozzeria Coggiola of Orbassano, Italy. 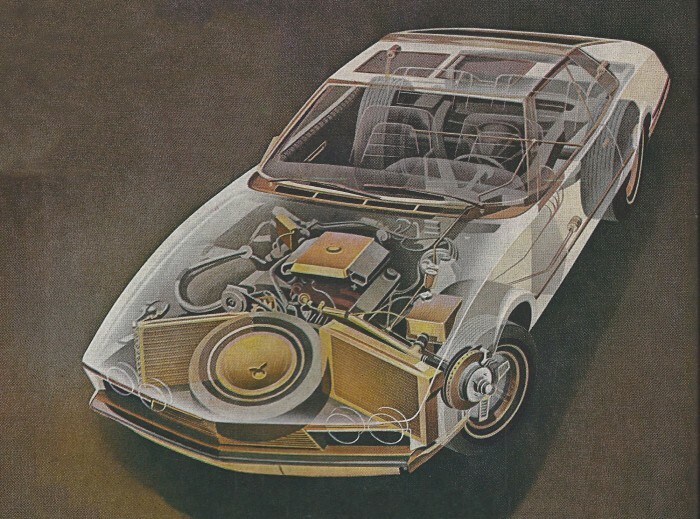 Sergio Coggiola had founded the carrozzeria just the year before after serving as the head of Ghia’s prototype shop since 1952, and quickly became known for turning out prototypes, though he’d also intended the carrozzeria to serve as a styling studio. To pen the Exemplar, Coggiola turned to Mario Revelli de Beaumont, who began designing special-bodied cars in the 1920s for numerous coachbuilders and automakers. 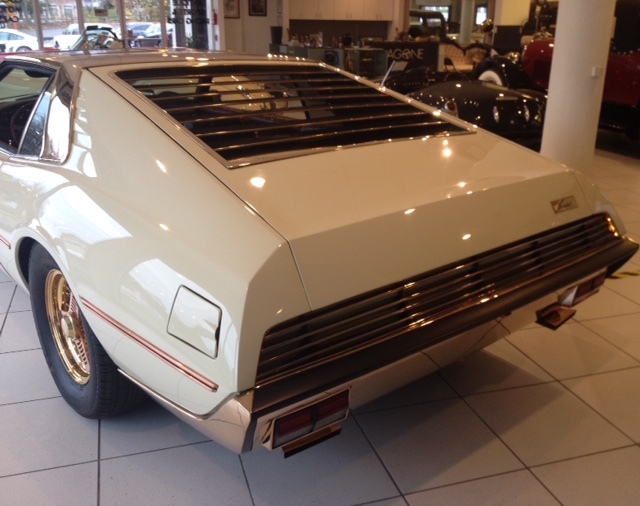 Revelli went for a modern combination of angles and curves with a back-half shape that somewhat resembles the later second-generation AMC Javelin, if the latter had flush glass between its flying buttress C-pillars. Along the way, he made sure to insert as many copper highlights as possible, particularly in the interior. Finished late in 1967, the Exemplar I debuted privately for Bridgeport Brass and CDA execs and then publicly early in 1968 at the New York Auto Show. 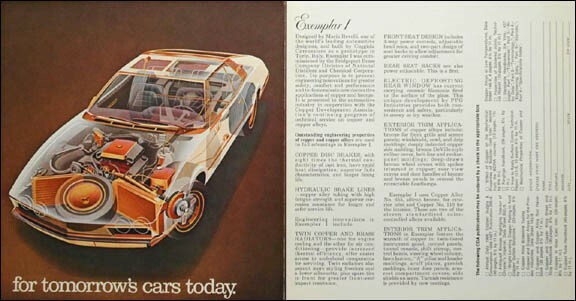 Whether it influenced any automaker to include more brass or copper in the construction of new cars, there appears to be no record, but it traveled to numerous auto shows over the next two years, until CDA officials decided to crush it either in late 1969 or early 1970. Thanks to the National Traffic and Motor Vehicle Safety Act of 1966, one-off cars at that time had virtually no chance of becoming street legal, and the CDA thus couldn’t legitimately sell to the public a vehicle that couldn’t be registered for the road. Only the intervention of Bridgeport Brass president Herman Steinkraus kept that from happening. Steinkraus, a prominent southern Connecticut businessman and supporter of the arts, reportedly decreed the Exemplar I too beautiful to be destroyed. So he bought it and, according to collector Manny Dragone, kept the car under cover and unseen on his 25-acre estate in Darien, Connecticut, until his death in the late 1980s. In the meantime, the CDA built at least six more cars. 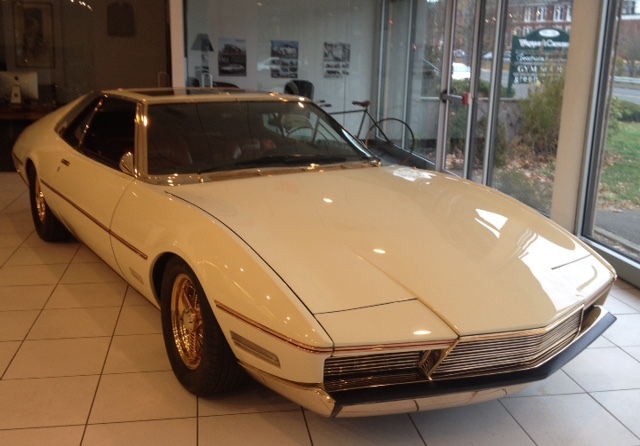 A second Exemplar came along in 1972, another Revelli design but this time based on an Oldsmobile Toronado. 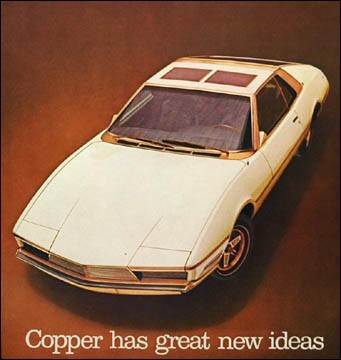 Apparently unsuccessful in bending Detroit’s ear on copper trim, the CDA then switched tactics and began building conceptual electric cars which, of course, used lots and lots of copper wiring. Dragone and his brother, George, based out of Bridgeport, came across the Exemplar I in about 1990 and bought it from the Steinkraus estate. Not until this year did they decide to give it a cosmetic restoration, in preparation for the Dragone Fall Auction. “With all the copper and brass, it’s just outrageous,” Manny Dragone said. Dragone later reported that the Exemplar bid up to $850,000 but didn’t meet its reserve price. As result, visitors to the Amelia Concours will be able to enjoy the car as part of the “Concept Cars Beyond Detroit” class. Westport, Conn. – It’s no secret that “King of the Kustomizers” George Barris’ first car was a Buick, a 1925 Buick roadster passed down from family when he was just a teenager. But it would be a few years later when his touch would create some very special ones. One of Barris’ early custom cars was a 1941 Buick convertible featuring flow through fenders and a Cadillac grille. It helped young Barris get noticed; in fact he featured it on his business card. Many chopped and channeled “Kustoms” followed. After the era of the chopped and channeled “lead sleds”, Barris made quite a few customs for movies. 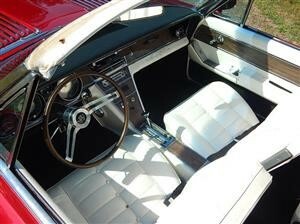 This caught the attention of Buick Motor Division itself, who provided him with a new 1963 Riviera to customize. 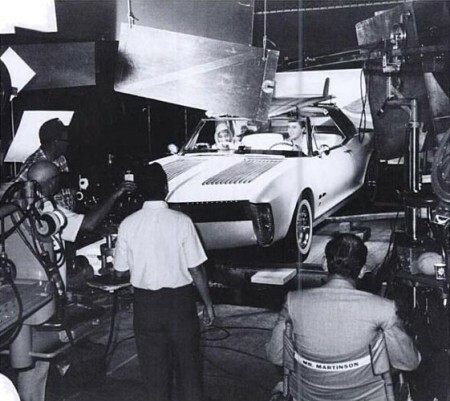 The result was the “Villa Riviera”, a cherry red custom which was repainted white and used in the movie “For Those Who Think Young” (1964) featuring a young Nancy Sinatra and James Darren. The Villa Riviera was originally created by Barris for use as his personal car. The story began when director Leslie Martinson was visiting the Barris shop in North Hollywood to look at a vehicle that Barris Kustoms was building for another film. At the time, he was quite taken with the Villa Riviera all decked out in cherry red paint over a fire frost white pearl base. 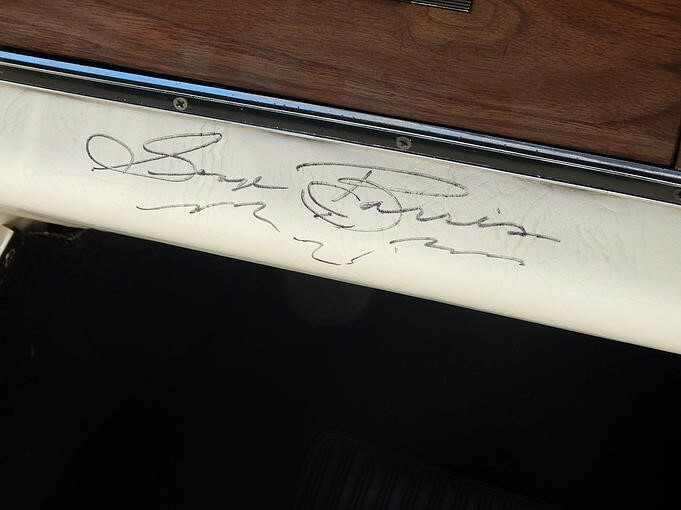 Martinson quickly signed a contract that included a clause to repaint the Buick white so it would show up more clearly when filmed. The car was later used in an episode of the popular “Perry Mason” TV series. 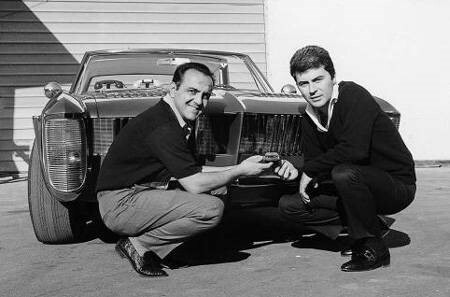 George Barris and James Darren pose in front of the Villa Riviera. 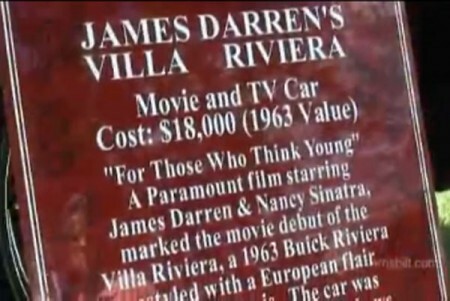 The Villa Riviera has appeared at car shows, accompanied by this plaque which recognizes the contributions of James Darren (as Gardner “Ding” Pruitt III) and Nancy Sinatra (as Karen Cross) to the film. 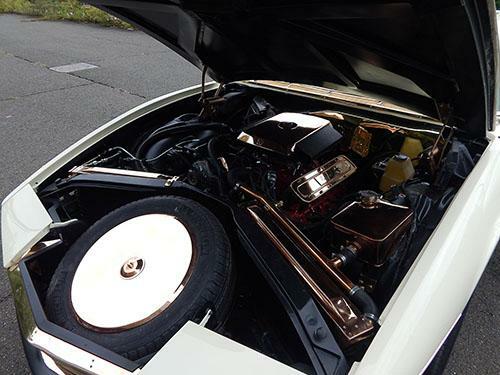 After the movie was completed, Barris repainted the car with 35 coats of translucent cherry red kandy paint over a pure pearlescent white underbase. It seems much sportier in the red hue. But Barris wasn’t completely satisfied and kept experimenting. Note the open roof section and the extended fenders. The headlamps are concealed behind the fender ends. Here’s the Villa Riviera again on a post card, this time wearing a Cherry and White scalloped paint treatment. The wheels have also been changed. It may have been more successful in solid Cherry. 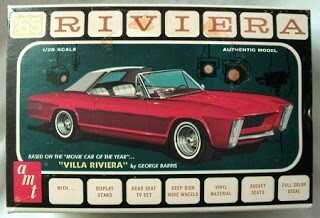 Speaking of successful, AMT was so impressed with the Villa Riviera that they featured it as a build option for their 1963 Riviera 1/25 Scale Model. Note the groovy 1960’s graphics. The Barris Buick Villa Riviera will be offered at the Dragone Fall Auction in Westport, Conn. on Saturday, October 17th with a pre-auction bidding estimate of $165,000 to $180,000. Other unique and rare cars to be offered include the 1967 Exemplar I Concept Car built for Bridgeport Brass Co. estimated at $1,200,000 to $1,800,000, a 1924 Supercharged Mercedes 24/100/40 Custom Fleetwood Sport Touring (est. $1,200,000 to $1,400,000) and 1947 Lancia Aprilia Prototype by Pininfarina (est. $450,000 to $500,000). Bridgeport, CT – Designed by Mario Revelli, a leading automotive designer in the day, and built by Coggiola Carrozziere as a prototype in Turin, Italy, Exemplar I was commissioned by the Bridgeport Brass Company in cooperation with the Copper Development Association. The car’s purpose was to present engineering innovations for greater safety, comfort and performance and to demonstrate new decorative applications for copper and bronze. 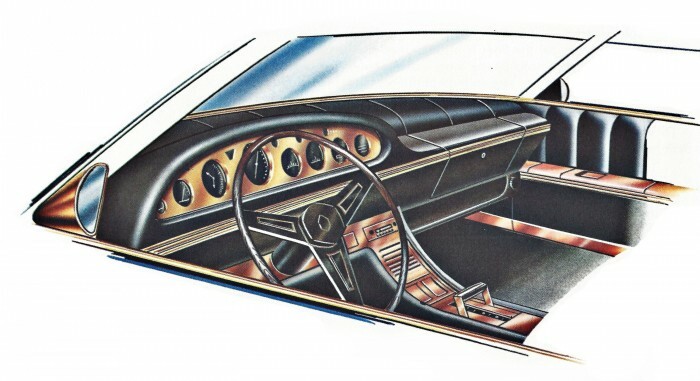 “Exemplar I is a prototype car designed to show how brass and copper can be just as effective for decorative trim as chrome and stainless steel. But it is much more than that, as visitors at the Design Engineers Show in the International Amphitheater (in Chicago) found out this week. Exemplar I is an engineer’s dream. In addition to its racy styling by Italian Mario Revelli, the sleek auto contains many new features that may someday be found on production cars. 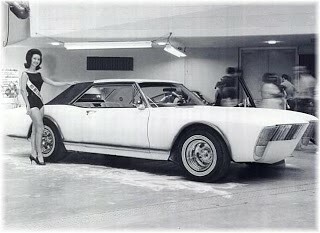 From road to roof, Exemplar I shows what can be done with a Buick Riviera chassis and engine when cost is no object. Dual-chamber wide oval tires by Firestone. Dual chambers aren’t new, but their application in wide ovals is. 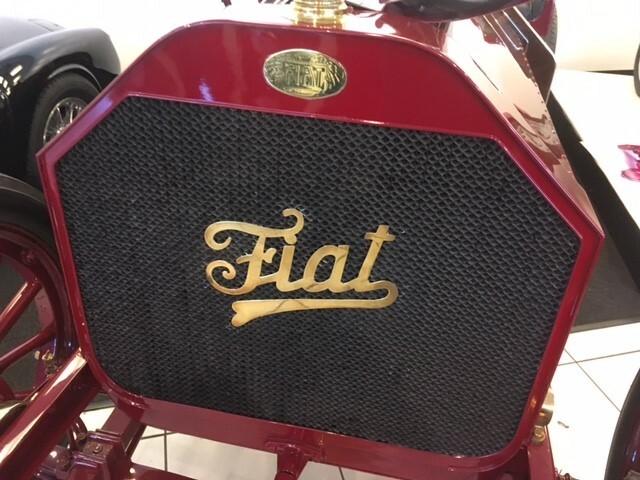 Executives of the Copper Development Association say that Firestone will come out with these treads soon; when the outer chamber goes flat, the inner chamber holds enough air to keep the tire going. A “wall-to-wall” tail light system that includes a bank of green lights in the center. These are used to signal following motorists that it is safe to pass. A large rear window on the fastback that has ceramic filaments that heat the glass to remove ice and snow. Designed by PPG Industries, similar windows are now offered as optional equipment on some European cars. Tinted glass roof panels that give the effect of a convertible. Power operated seats that include built-in adjustable head rests and independently adjustable seat backs. The rear seats in the four passenger car also have adjustable backs. Twin radiators – one for engine cooling and the other for air conditioning. Mounted in the front corners of the engine compartment, they allow greater styling freedom and permit the spare tire to be stored between them for more front-end impact resistance. “And of course, there is a generous use of copper and copper alloy, 150 pounds in all. Bumpers, side moldings, wheels, interior trim and several components under the hood are all made of brushed or shiny copper and copper alloys. By comparison, today’s (1968) production cars contain only 35 pounds of copper. Except for the Chrysler Imperial, which uses copper in some interior trim applications, the metal is used in functional uses such as radiator tubing, small electric motors etc. The copper industry hopes to get Detroit to use copper in many more applications. They showed the car to designers at Ford and Chrysler and got very favorable reaction, they said. The actual car was put in storage for many years by the former President of Bridgeport Brass, and when heirs threatened to sell the car for scrap in 1995, the brothers Manny and George Dragone, owners of Dragone Classics stepped in to save this rare and historically significant automobile. 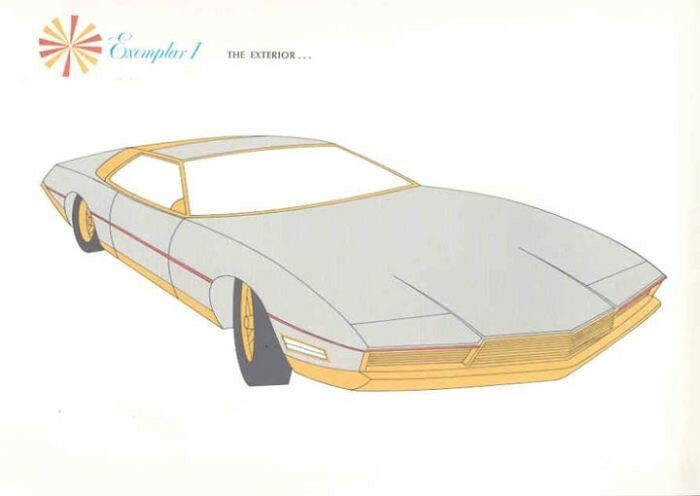 Unfortunately a sister car, Exemplar II built on an Olds Toronado chassis did not escape the crusher so Exemplar I remains one-of-one in existence. With the rise in collectors’ interest in rare one-off concept cars in recent years, the brothers decided to restore the car to its original glory. Currently the restoration is underway at the Dragone restoration shops in Bridgeport and the car will be the featured vehicle at the Fall Auction at Dragone Classics’ showroom in Westport, CT on Saturday, October 17th along with dozens of other rare classics. Potential bidders can register to bid at www.dragoneclassics.com Bidder registration includes a print catalog, admission to the auction for two people, open bar and dinner for you and your guest and two reserved seats subject to availability. Westport, CT – Intended as a shot across Ford’s bow, Pontiac’s Banshee XP-833 coupe was an answer to Ford’s Cougar II show car, and Pontiac brass felt confident they could bring the Banshee to market before Ford launched its own two-seater. History tells us that neither car saw production, but a glimpse at the Banshee gives us a look at design cues that would later appear on the third-generation Corvette and the first-generation Firebird. One of two first-generation Banshees built (the other a white convertible that’s long been a part of Joe Bortz’s collection), the silver coupe will head to auction later this month as part of the Dragone Spring Auction in Westport, Connecticut. The initial success of Ford’s Mustang left GM scrambling to offer a counterpoint, and it would take until 1967 before the Chevrolet Camaro and Pontiac Firebird hit dealerships. Determined not to make the same mistake twice, Pontiac head John DeLorean asked his designers to come up with a lightweight two-seat sports car, one that could be brought to market for the 1967 model year, potentially ahead of the Ford Cougar II that was rumored to be bound for production. Two first-generation Banshees were put together, using an A-body chassis and fiberglass-reinforced plastic body panels. The convertible was built with a V-8, but GM management reportedly felt that such a car would be too close in positioning to the Corvette. 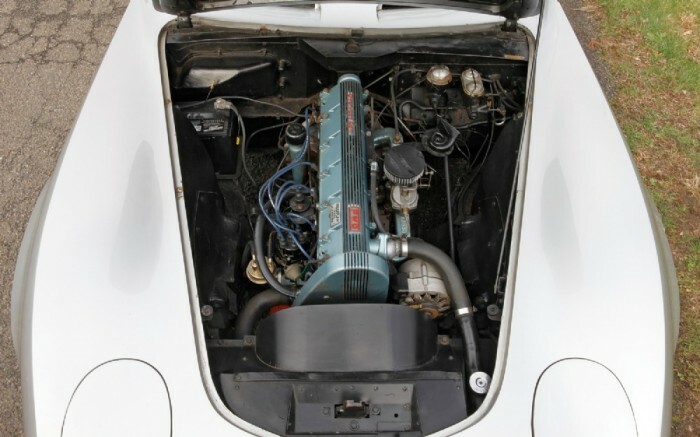 The coupe was powered by an overhead camshaft inline six-cylinder, fitted with a crossflow head and reportedly good for 155 horsepower. Given the Banshee’s curb weight below 2,300 pounds, even such a modest engine would have produced spirited performance, while delivering exceptional handling. The Banshee, at least in the eyes of Pontiac executives, would complement the Corvette, offering buyers of more modest means another GM two-seat sports car to choose from. As Bob Hovorka wrote in the February 1989 issue of Special Interest Autos, production of the Banshee was never seriously considered by GM management. 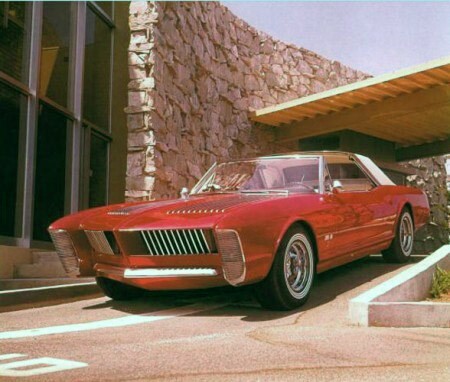 Perhaps any challenge to the Corvette as GM’s sole two-seat sports car was seen as too much, or perhaps the Ford Cougar II was never seen as a serious candidate for production, but in 1966 the first Banshee project was scrapped. The cars should have been as well, but rumor has it they escaped the crusher by being secreted away and later sold to employees close to the project. Both coupe and convertible are semi-functional drivers, minus key details like functional headlamps. The coupe remained with its original owner until 2006, when it sold at a Barrett-Jackson auction for $214,500. Since then, it’s been offered for sale numerous times, including a trip across the stage at RM’s 2010 Amelia Island sale, where it bid to $325,000 but failed to meet reserve, and at Mecum’s 2010 Monterey sale, where it bid to $400,000 without changing hands. It’s twice been featured as a Find of the Day in the Hemmings Daily, but neither running included a price in the listing. Officially, the third-generation Corvette was inspired by the 1965 Mako Shark II concept, but one has to wonder how much the concept was itself inspired by the Banshee. 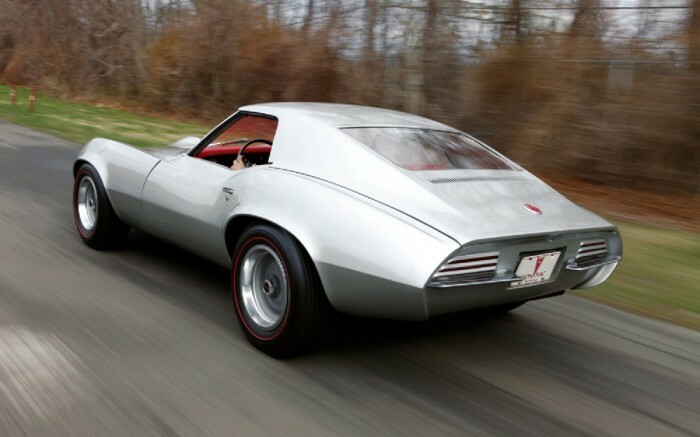 Even if the answer is “not at all,” it’s impossible not to see the Banshee’s influence on the first generation Firebird’s rear and on the production Opel GT, which seems to duplicate the Banshee’s pop-up headlamps, sloping nose, fastback roof and Kamm tail in slightly smaller scale. Perhaps John DeLorean and his designers were onto something after all. Dragone Auctions is predicting a selling price between $600,000 and $650,000 when the 1964 Pontiac Banshee XP-833 crosses the stage on Saturday, May 30 as part of its 2015 Greenwich Concours Car Event Weekend auction. For complete details, visit DragoneClassic.com. Dragone Classic Motorcars is will be offering a vast array of extremely rare and exciting motorcars at their fall auction for 2014 on Saturday, October 18. The event will take place at the Dragone Classic Motorcars gallery in Westport, Connecticut. 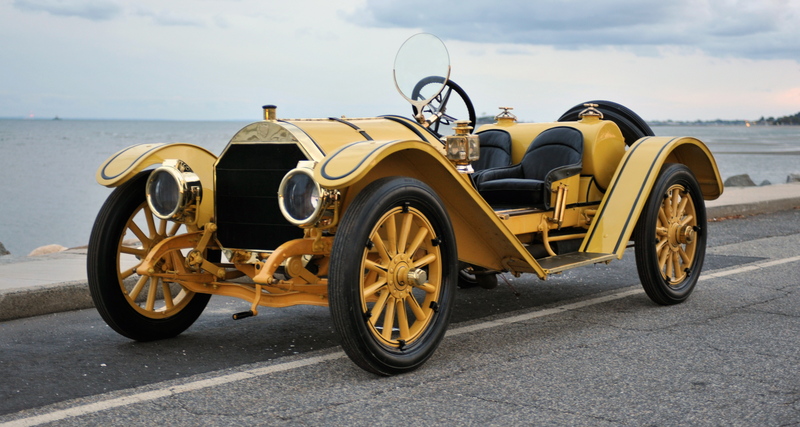 This auction features a rare 1912 Mercer Raceabout, which is the second Mercer Raceabout to be sold this year, following the $2.5 million sale in August by RM Auctions in Monterey, California. The event will also feature a 1935 Auburn Speedster that has been a one-family owned since 1954, several of the finest Corvettes, and the entire contents of the Mason Thrall Estate Collection. “There’s something in this auction for everyone at all levels of the market,” said Manny Dragone of Dragone Classic Motorcars. The Thrall collection carries a rich and diverse number of motorcars, reflecting all aspects of the collector car market. Among the highlights are: a 1921 Rolls-Royce Silver Ghost Landaulet with coachwork by Barker, previously owned by the Ellenville Auto Museum in New York. This magnificent car is presented in original condition. Also featured are several micro cars including: a Messerschmitt K200 and two BMW Isettas. Collectors of the unusual will find delight with a 1931 De Vaux and a 1926 Moon. 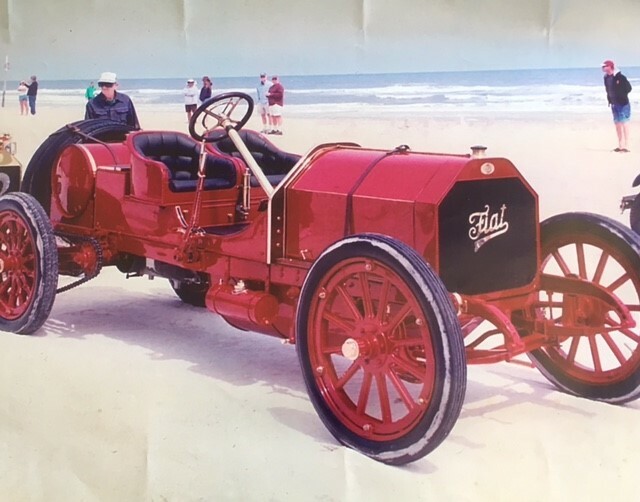 The Thrall collection also features marques such as: Peerless, Packard, Hupmobile, Franklin, Graham, Oakland, Chrysler, and Studebaker to name a few. For the muscle car enthusiasts “without a doubt, this is one of the most eclectic collection of motorcars we’ve ever offered,” said Dragone including a 1965 Plymouth Barracuda, a 1984 Oldsmobile Hurst/442 with only 657 original miles since new, two 427 Corvettes from the 1960s and a stunning 1969 Ford Shelby GT500 with a 428 Cobra jet engine. Thrall spent an entire lifetime acquiring this most unusual assortment of cars. 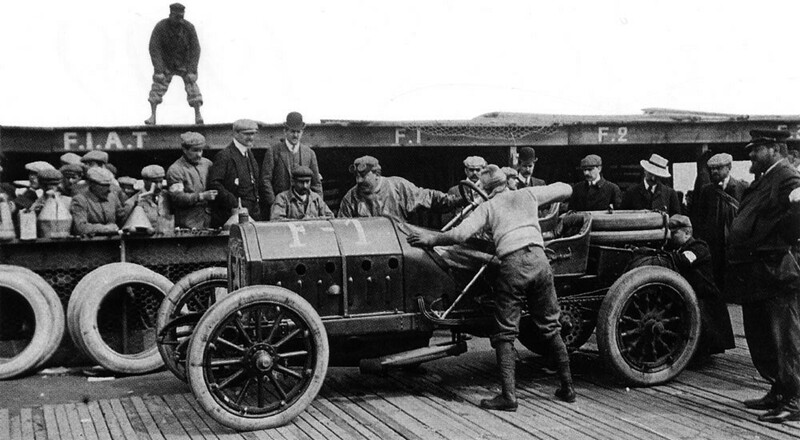 The beautiful 1912 Mercer Raceabout is fully documented, with lineage going back to the 1940’s. This Mercer is perhaps, one of the most original in existence with ties to names like Webster Knight, Edward Malley, Alec Ullman, and David V. Uihlein, Jr. There’s also the 1935 Auburn Speedster that was recently cosmetically refurbished and presented in its original black livery. For collectors of America’s sports car, the auction features some of the rarest and best Corvettes with a 1957 fuel-injected four speed, a 1959 with dual-quad carburetors, and a 1962 fuel-injected model. “The quality, fit, and finish on these Corvettes is amazing,” said Dragone. In addition, offered is a fully documented, rare aluminum bodied 1950 Jaguar XK120 that has been fully restored to its exact factory specifications. This exquisitely styled body, along with its 3.4 liter dual overhead cam inline-six, set a world standard for what a performance car should be in its day. Additionally, a wonderful piece of art deco history is being offered, styled by the great French industrial designer Raymond Loewy, an aerodynamic Hupmobile coupe from 1935; also offered, a Chrysler Airflow and a 1934 Brewster, all very rare and unique automobiles. This will be the fourth sale since 2012 when the Dragone brothers began auctioning some of the world’s rarest and most unique classic cars found all over the globe. On Friday, October 17th, there will be an all-day preview of the classics that will be for sale on auction day starting at 10:00am, followed by a cocktail party at 5:00pm to celebrate the following day’s event with classic car collectors, prospective bidders and friends. This auction promises to “satisfy a spectrum of different automotive tastes,” stated Manny Dragone.